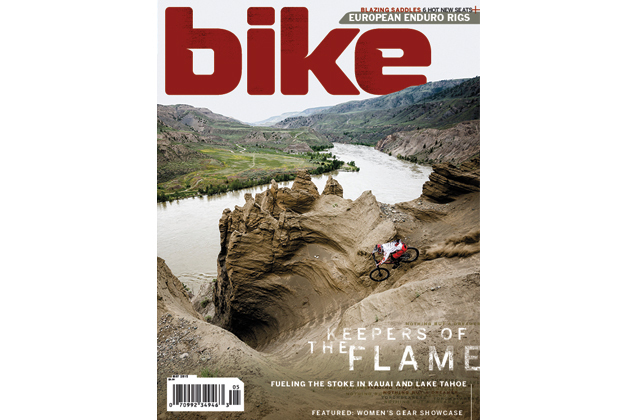 Spring is here and the May issue of Bike is out just in time to fuel your fire for the riding season. Many of the pages of this issue are devoted to some of mountain biking’s most-passionate souls, the riders who give their all to building trails in their small corner of the world, creating a community of riders in an unlikely place or pushing the design boundaries of the bikes we love to ride. Here is a preview of the highlights or the issue, which you can find on newsstands or virtually by clicking here. On the cover, Kenny Smith charges a chute high above the Fraser River near Dog Creek in British Columbia. Shot by John Wellburn. 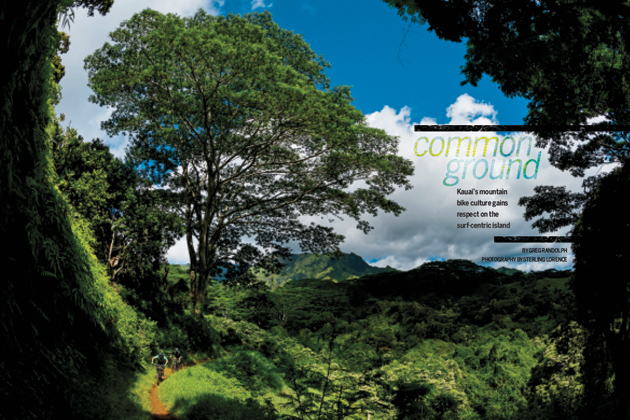 Writer Greg Randolph goes on a discovery mission on Kauai’s lush tropical trails, which reveals the hardy group of locals who have brought mountain biking to life on the oldest of Hawaii’s main islands. 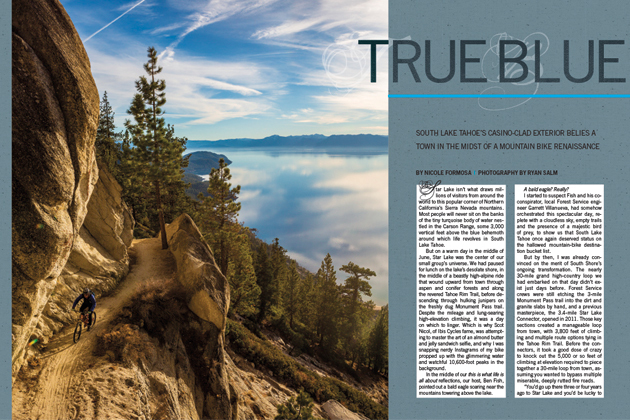 South Lake Tahoe, California, might lack the refined exterior of many other mountain towns, but looks don’t matter on the high-country trails where the South Shore’s true charm hides. 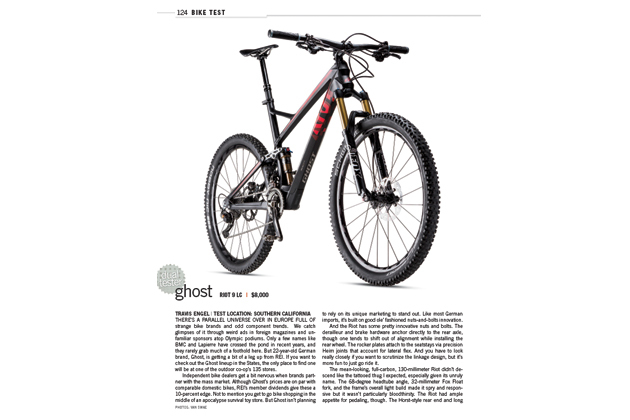 European enduro rigs dominate the bike test portion of the issue’s gear section, leading off with our dual tester review of the German-import Ghost Riot. Also, don’t miss our sit-down interview with Roxy Lo, the designer behind the influential Ibis Mojo (and pretty much every Ibis bike since), and our first-ever Women’s Gear Showcase. Subscribe to the print edition or digital edition.